Organic Care didn’t have the shelf space, the marketing budgets or the brand recognition of the big players. 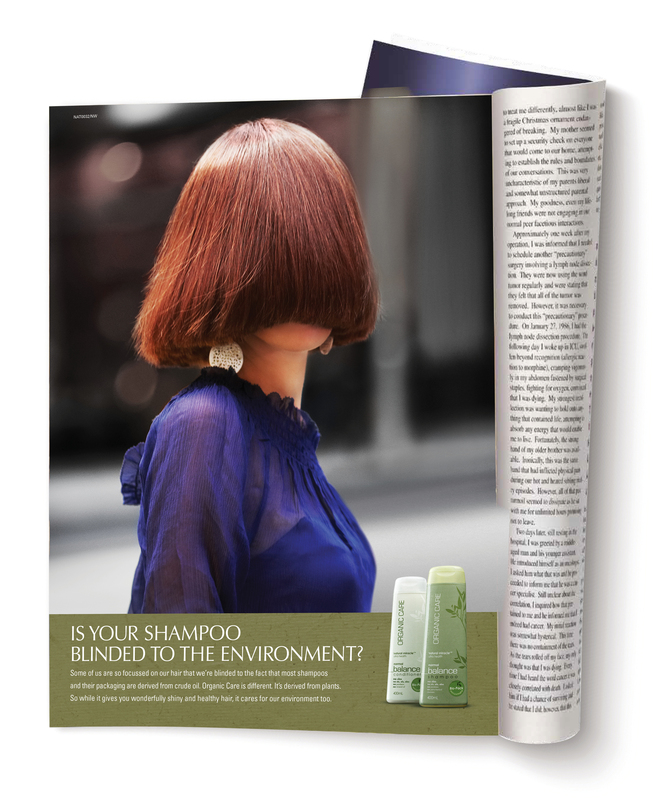 But it does have one claim that it can own: the best environmental credentials of any supermarket shampoo. We developed a clear strategic direction for the brand. 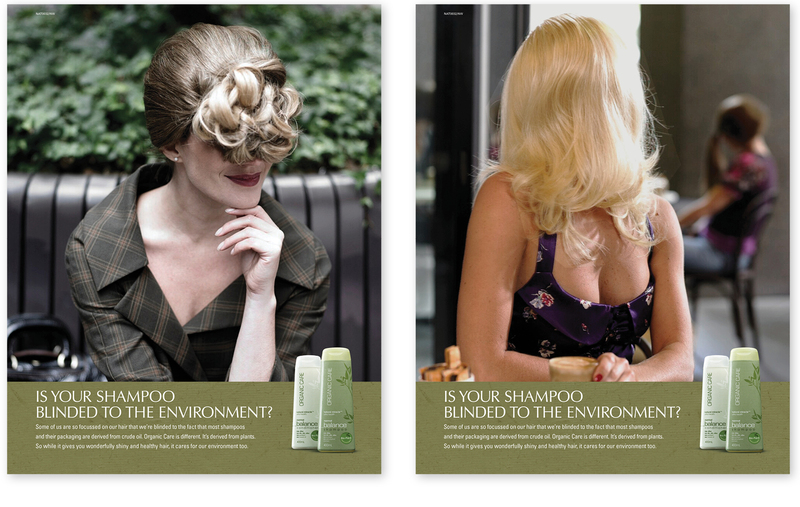 The resulting TV and print work was based on the positioning “Does your hair care?” It featured women whose hair was – quite literally – blinding them to the environment. Spectacular – a 400% increase in store-on-store sales versus the non-campaign period. The base rate of sales in both Woolworths and Coles is 100% higher than pre-campaign figures. Off the back of this success the range has now been extended to include hand and body wash, taking this brand from a sleeper to a star performer in the company’s portfolio.